Soundfly exists to help curious musicians anywhere achieve their musical goals. Their learning model pairs high-quality online content (courses & articles) with highly personalized 1:1 musical coaching via trained expert musicians called Soundfly Mentors. 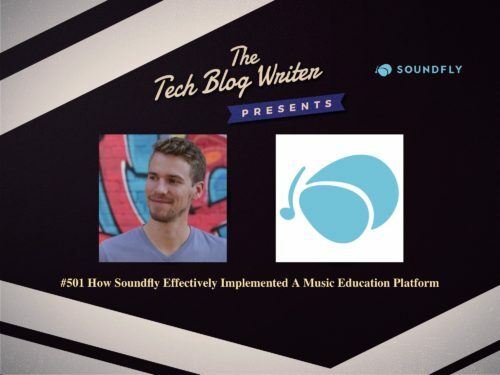 Soundfly was founded a couple years ago to fill a gap in credible, accessible music education online. They now serve hundreds of thousands of musicians a month, with daily articles, more than 40 online courses, and a growing roster of experienced Soundfly Mentors on-hand. In the past couple of years, they have partnered with and worked with some of the best names in music, including Carnegie Hall, NYU, Grammy-winning and -nominated musicians and engineers such as Brian Losch, Joe Lambert, and Marin Alsop, guitar legend Kaki King, YouTube star Andrew Huang, and many more. Their mentor-based learning model is built on proven educational methods such as project-based learning, social accountability, and recall, whereas most online learning platforms provide only passive experiences. Soundfly is providing a home for the creative and curious to discover something new and take a leap forward in their musical journey in whatever way works best for them. They stand for a love of learning that works, accessibility, and a celebration of every artist’s unique musical voice, regardless of genre, style, or approach. Ian Temple is a composer, pianist, and entrepreneur. Before founding Soundfly, he was a founding partner and COO for The Future Project, one of the country’s fastest growing education non-profits that works with high schoolers to pursue and realize their dreams. As a musician, he’s recorded and produced multiple albums with his original projects, toured North America, Europe, and Asia with his experimental trio Sontag Shogun, and scored works for film and video, including the award-winning short film Rosa: These Storms. Ian is passionate about developing new and better ways to unlock the artist and artistic potential within everyone.